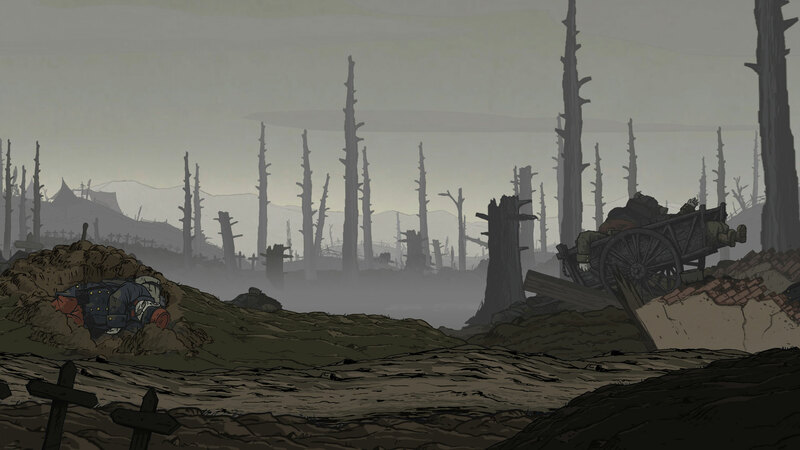 Survive the horror of the trenches . This is the story of crossed destinies and a broken love in a world torn apart. 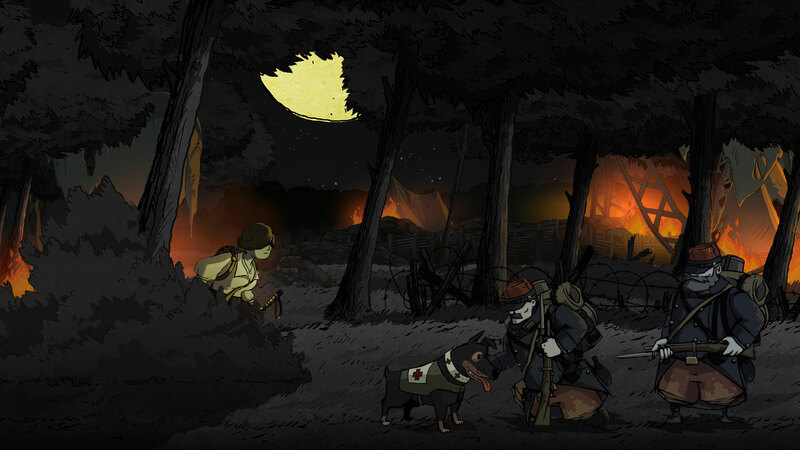 All of them will try to survive the horror of the trenches following their faithful canine companion. 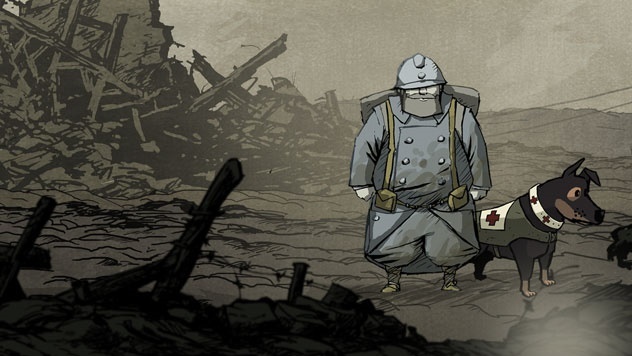 In Valiant Hearts, the lives of all these characters are inextricably drawn together over the course of the game. Friendship, love, sacrifice and tragedy befall each one as they help each other to retain their humanity against the horrors of war. 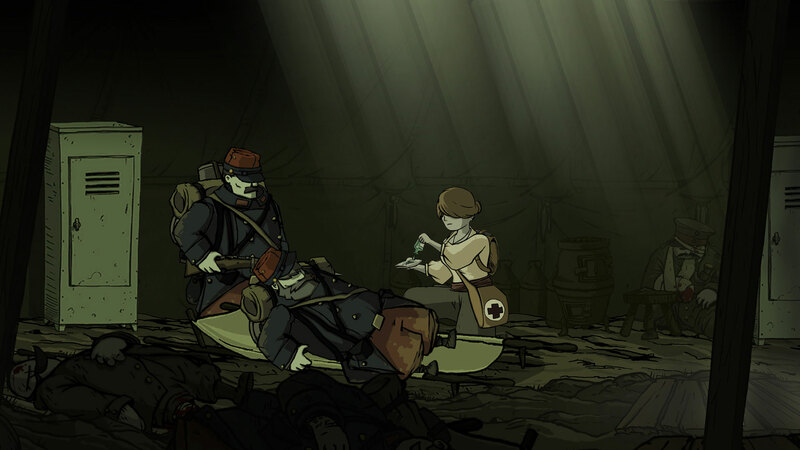 From the green forests of the French countryside, to dank trenches and snowy fields, go back through history in this emotional adventure game delivered with a unique tone and art style. 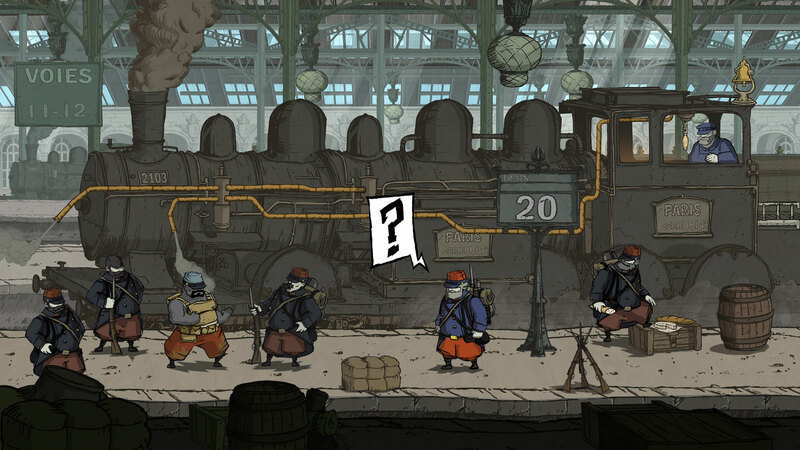 Move into action and help your heroes survive the Great War by solving puzzles or sneaking through enemy lines… live a touching and comical adventure. 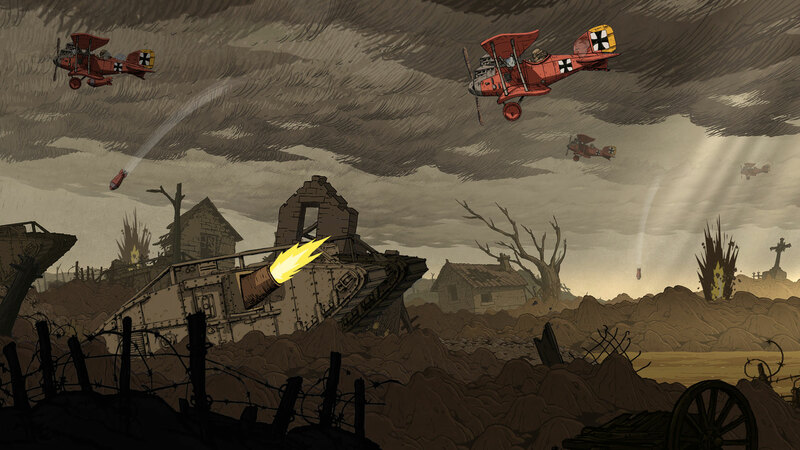 Lost in the middle of the trenches, play each of these characters and help a young German soldier find his love! 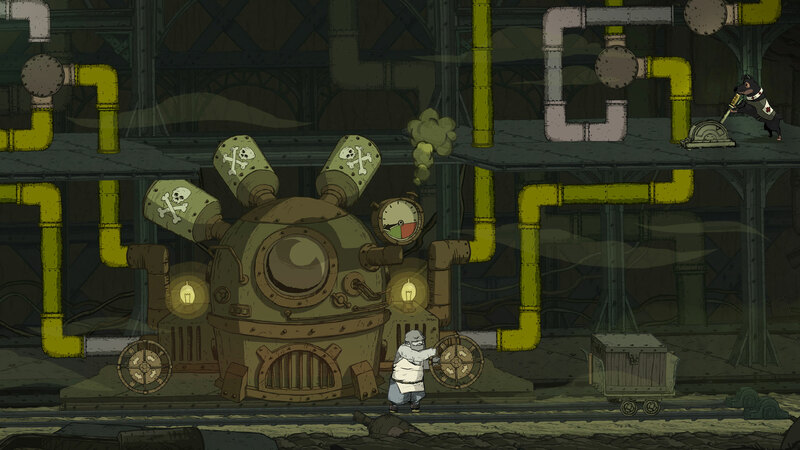 With the help of your trusty companion’s canine sense of smell, send him through barbed-wire obstacles and shell holes to solve puzzles or avoid enemies… Rely on him: this dog will be your best friend! This fictitious story takes you back to famous WW1 locations, like Reims or Montfaucon, revisiting historical battles on the Western Front, such as the Battle of the Marne or the Battle of the Somme! 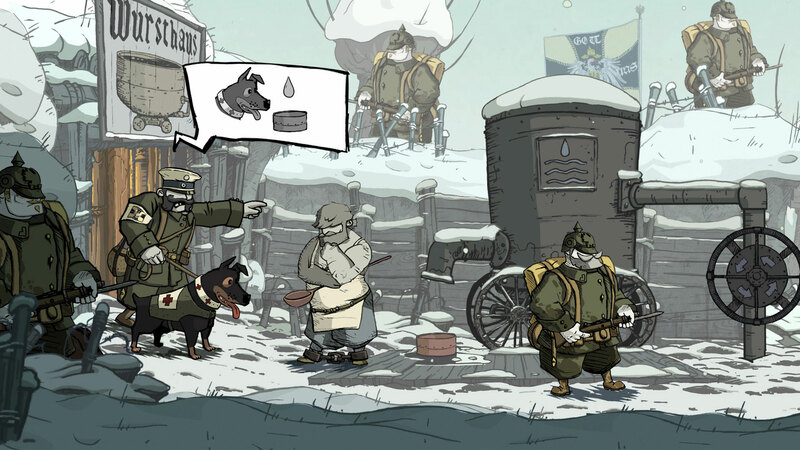 Valiant Hearts makes the most of the UbiArt Framework and its motto “Bringing Art to Life”. This powerful engine provides the ability to transfer creative concepts and bring them to life in video games. Small is beautiful: a small but highly talented team, including the Audio and Art Directors of games such as Beyond Good & Evil and Peter Jackson’s King Kong, and key level designers on Rayman Origins and Rayman Legends. 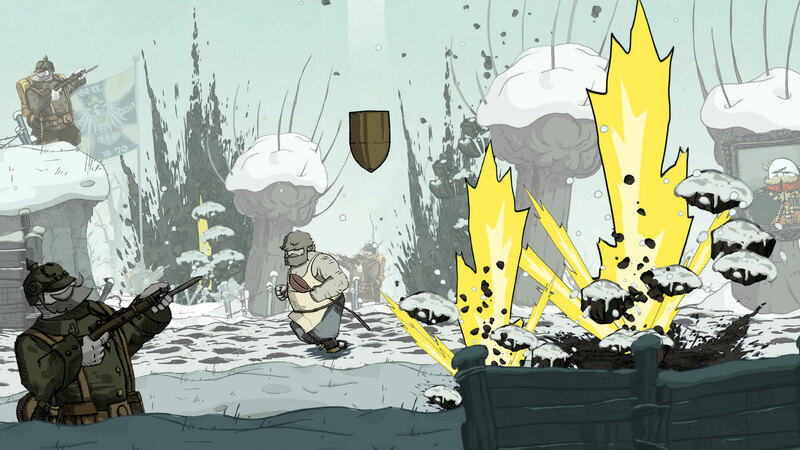 You can play Valiant Hearts using the Nintendo Switch Pro Controller, the Joy-Con controllers or you can use the touch screen mode to control the game completely. Choose your favorite control mode. 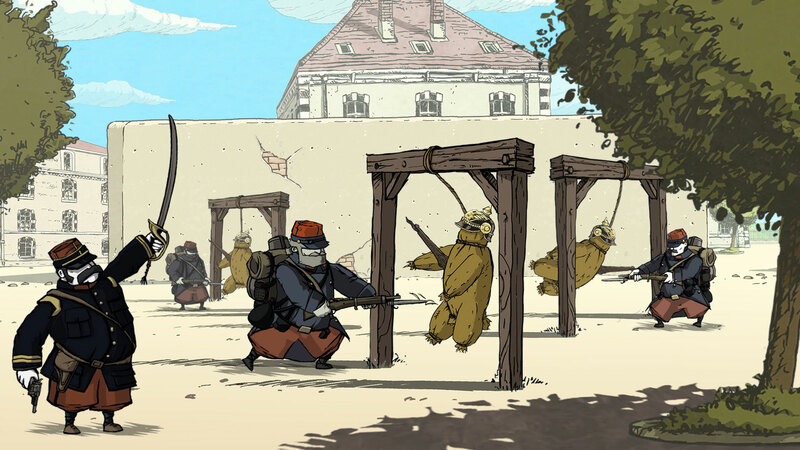 ©2014 Ubisoft Entertainment. All Rights Reserved. 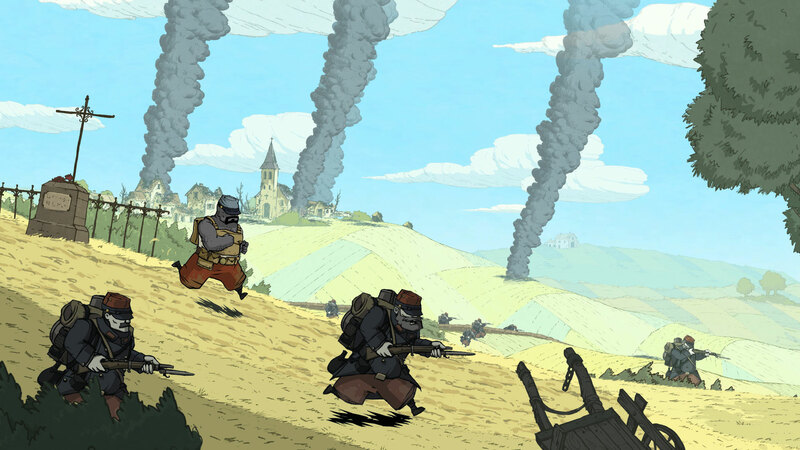 Valiant Hearts: The Great War Logo, Ubisoft and the Ubisoft logo are trademarks of Ubisoft Entertainment in the U.S. and/or other countries.